I’d like you all to meet my STAR READER of the summer . . . Hannah T. of Bishop’s Stortford College! Well done Hannah for winning your Book Club Prize and for winning my award for SPEEDIEST reader of ‘A Seven-Letter Word’, too! 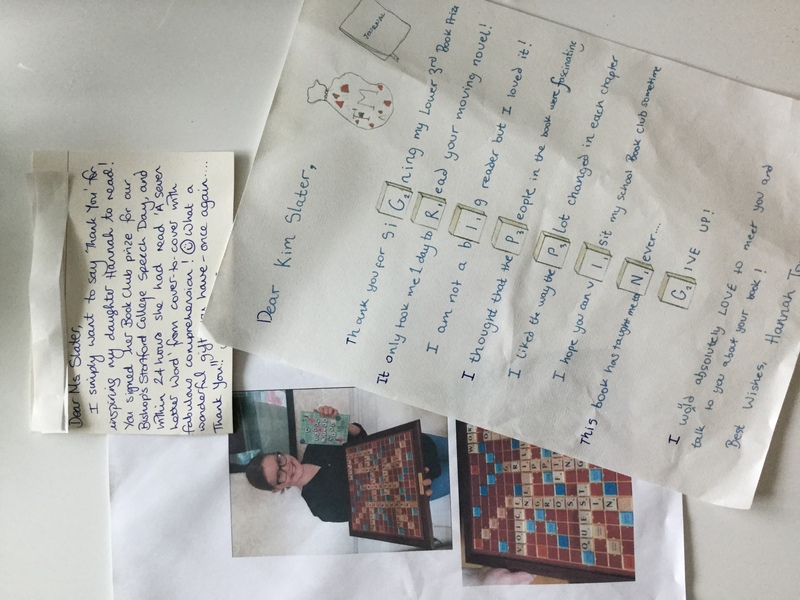 After a long week of school author visits I came home to a completely unexpected letter which included a lovely note from Hannah’s mum, Jane, a brilliant photo of Hannah herself with ‘A Seven-Letter Word’ and a mock-up of a Scrabble board AND . 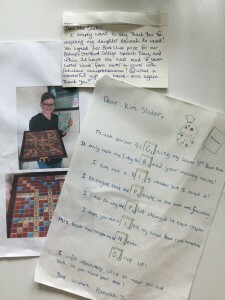 . . the most impressive and creative letter which incorporated Scrabble letters into the things she enjoyed about the book . . . take a look below! It means the world to get such heartfelt messages like Hannah and Jane’s and I’m so delighted to play a small part in engaging young people to read. Thank you so much for taking the time to contact me Hannah and PLEASE keep up with the reading over summer – you really have no choice now you’re my star! I’m sending some personally dedicated and signed postcards to you by way, Hannah . . .